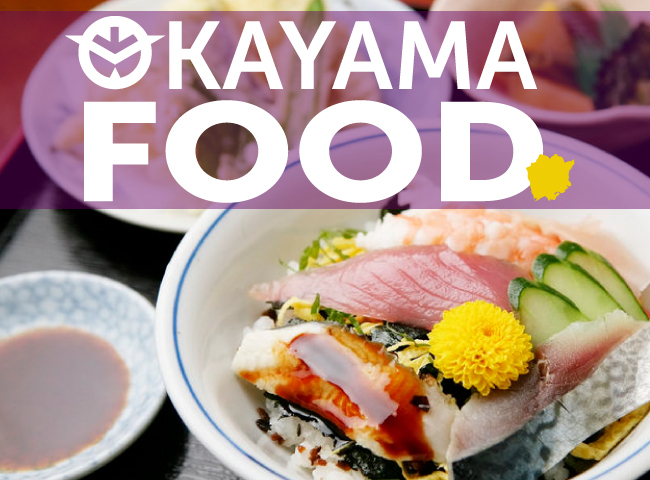 At most kaiten sushi restaurants dotting Japan, the mood is light and casual; as people pick sushi off the conveyor belt and their empty plates stacking ever higher as they eat, most don’t give much thought to manners. But if you’re going to a fine non-chain sushi restaurant in Japan, there are rules that need to be followed. The next time you’re dining out don’t forget these 8 essential tips to become a true master of sushi etiquette! 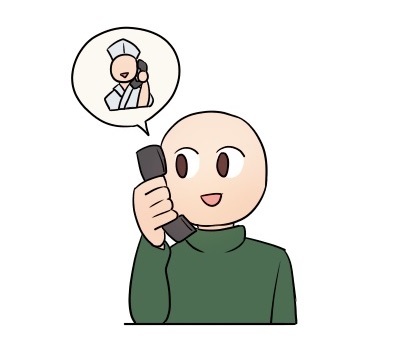 Before you’re even allowed to learn how to eat sushi, the first step is picking up the phone to call ahead for a reservation—especially if you have any dietary restrictions. The restaurant will try its best to accommodate you but typically they need advance notice. You’ll also want to have cash on hand as some sushi restaurants may not accept credit cards. If you’re unsure, call in advance to find out. And if you do make a reservation, proper sushi etiquette demands that you don’t miss it. If you’re a no-show, you may even still be charged for the meal. This may seem unreasonable, until you think about the fact that the sushi must be served fresh—if there’s nobody there to eat it, the sushi goes to waste. 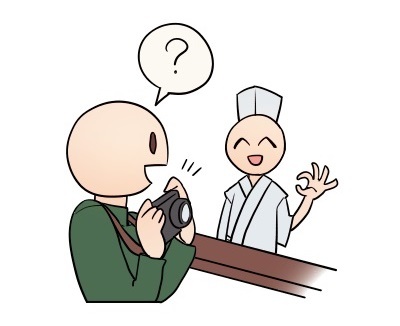 Tourists often show up with a large camera to take photos of their culinary adventure; Japanese people are also known for whipping out their smartphones to snap pictures of everything they eat. However, it’s important to check with the restaurant first whether it’s okay to document your experience, particularly if you’re dining at the sushi counter. Many sushi restaurants—even some of the upscale ones—are becoming accustomed to customers taking food photos these days, but you’ll want to ask first to be polite and then make sure to be considerate of other diners around you. Those who truly know how to eat sushi understand that the experience has as much to do with smell as it does taste. 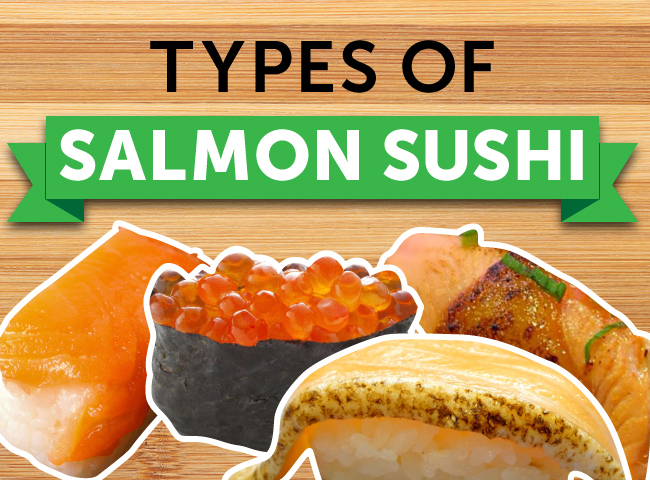 Sushi’s basic freshness should never be overwhelmed by needless flavoring or smells—the aroma of the fish itself and the scents around it are actually crucial to enjoying it. 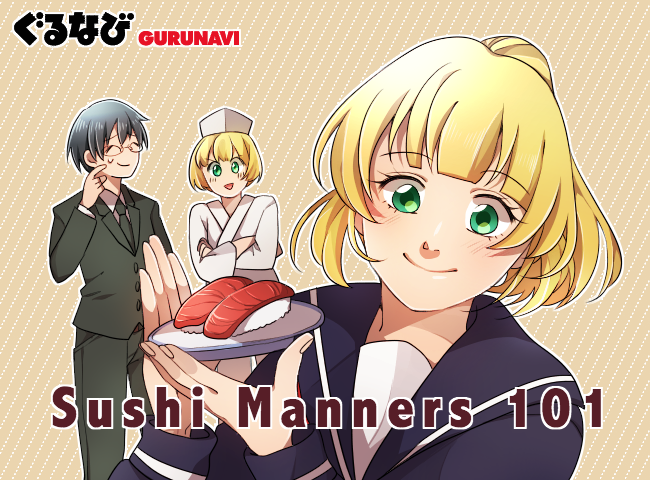 Therefore, sushi etiquette demands that you not wear any perfume, cologne or scented body lotion as the fragrance might interfere with the flavor of the sushi. This little rule might seem quite nitpicky until you realize that most upscale sushi shops worth their sea-salt are actually housed in quite narrow spaces with only a long bar at the front and possibly a few seats behind. 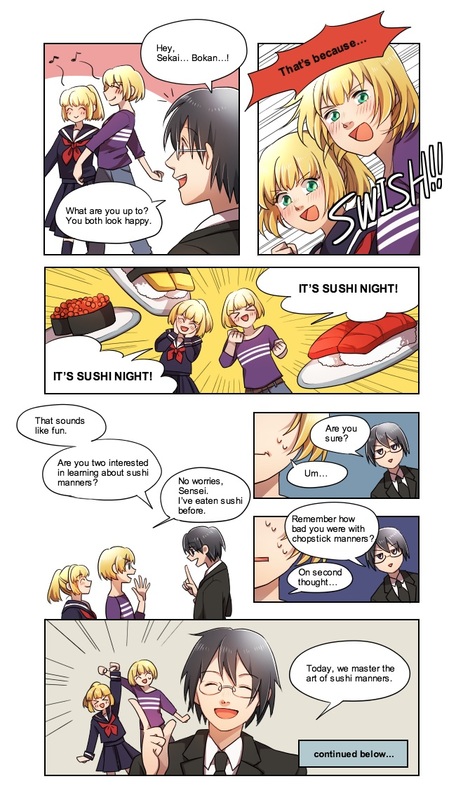 In other words, a little thing like smell may quite literally affect everyone else in the place, causing them to lose their appetites—shokuryoku ga ochiru, as they say in Japanese. Following the "no perfume" rule helps sushi retain its flavor while keeping harmony with everyone else, a defining principle of Japanese life. Of all the possible rules about how to eat sushi, one of the most surprising might be that there is a specific order for eating sushi. While nothing is written in stone, some people say that it’s better to start with whitefish and lighter tasting fish followed by richer, more oily items such as toro (fatty tuna) and grilled eel. In any case, you’ll want to cleanse your palate between each type of sushi with a bite of pickled ginger and a sip of green tea. 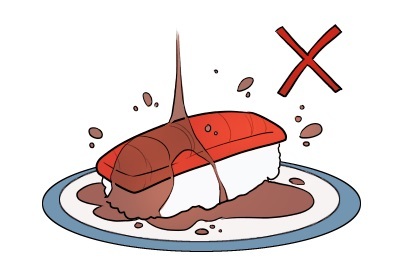 Sushi Etiquette Tip: If you’ve ever been to a conveyor-belt sushi shop, you may notice that the plates typically come with two pieces of sushi on them. However, when ordering à la carte, high-end establishments will bring a single piece rather than a plate of two. 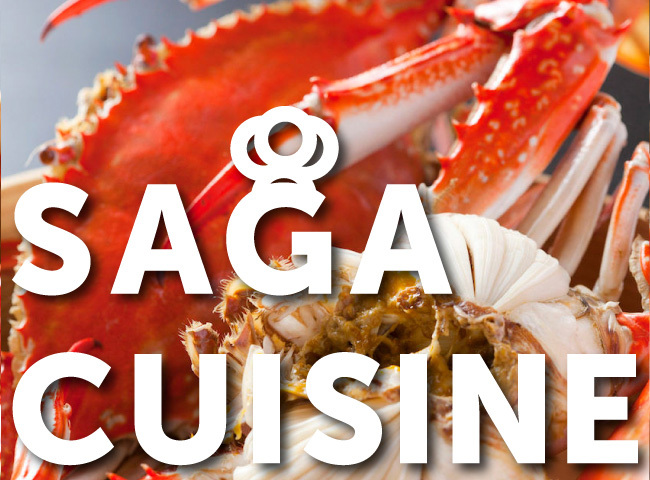 You may decide to go with the omakase course, meaning “chef’s choice”, especially if you’re dining at a well-known restaurant. When dining omakase, finishing everything that’s put in front of you is essential for good sushi etiquette; it’s considered extremely rude, not to mention wasteful, to leave any of the pieces uneaten. 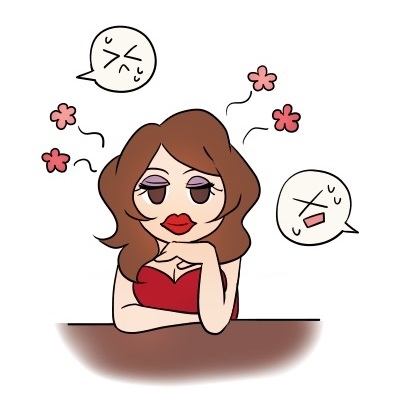 Even after you have requested your dietary preferences in advance, at some restaurants the chef may still ask you if there’s anything you can’t or don’t eat—if you’re not a fan of wasabi, this is a good time to mention it as the chef will usually add the wasabi in between the rice and the fish. As you enjoy your meal, make sure to eat each piece of sushi when it’s presented to you rather than hoarding any items on your plate or saving a piece for later. That’s because a good sushi chef selects only the freshest seasonal items, carefully controlling the pace of the meal, as well as the temperature of the rice and the sushi itself. Sushi is best when energized by just the right amount of soy sauce and wasabi. At nicer restaurants, the chef will typically apply soy sauce for you to create the perfect balance for each piece, so you shouldn’t have to add any more. However, if the chef doesn’t add it for you, then when dipping your sushi in soy sauce make sure to dip the fish side and not the rice side. Dipping your sushi fish-side down is mainly to prevent the rice from falling apart, but it also just tastes better—compare soy-soaked rice with the clean variety and you’ll agree! When picking up nigiri sushi (your standard rice-with-a-piece-of-fish-on-top sushi) with chopsticks, you’ll want to first tip the piece onto its side then grasp it with one chopstick against the piece of fish itself (the neta) and one chopstick against the rice part (the shari).This is to prevent the neta and the shari from separating, which can happen if you try to pick up the sushi rice-side down. 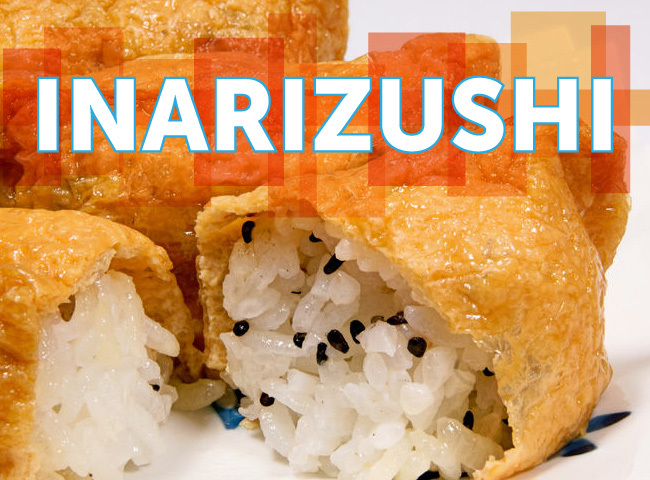 It also prevents the shari from being soaked in soy sauce, which as we already mentioned is a big no-no. 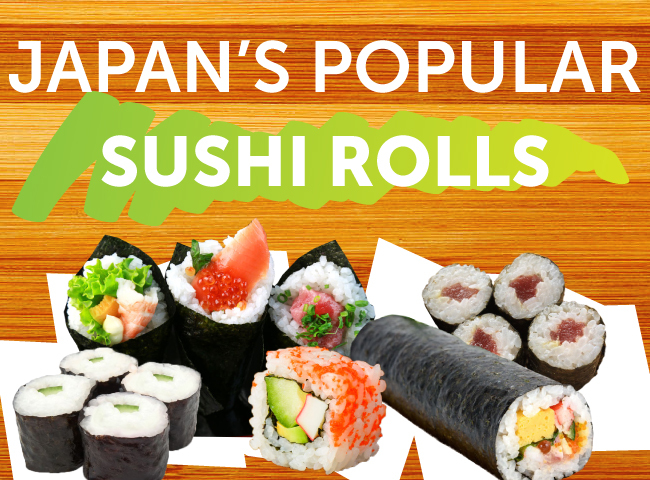 You should also mind your sushi manners by refraining from breaking individual pieces into smaller parts. Proper sushi etiquette dictates that you eat the nigiri sushi in one bite. 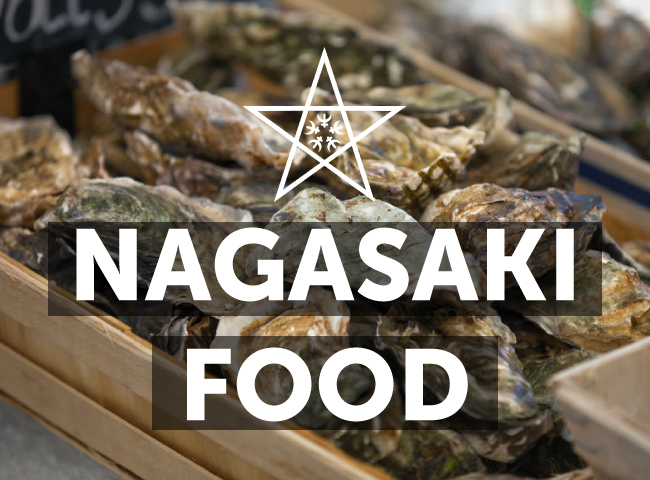 For gunkan-maki, or “battleship-style” sushi, it can be difficult to dip the neta side in soy sauce without the entire thing falling apart, so take a piece of pickled ginger and use it to brush some soy sauce onto the neta instead. 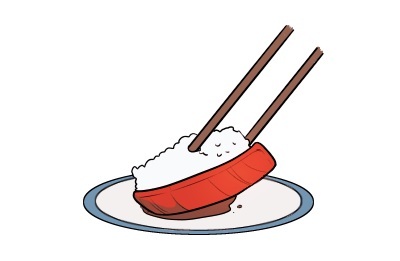 Sushi Etiquette Tip: One of the biggest questions people have when it comes to sushi etiquette is: hands or chopsticks? The good news is that either is okay. 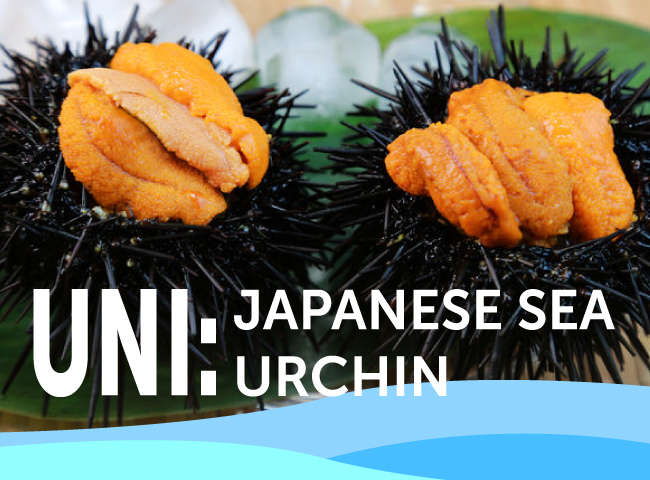 In fact, it is not considered unusual to pick up sushi with your bare hands even at a Michelin-star sushi restaurant, so go with whichever is more comfortable for you. 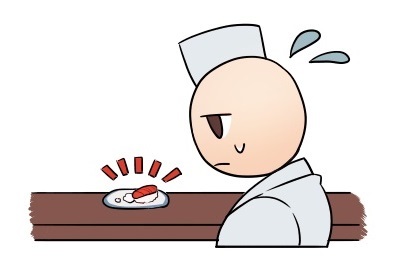 It’s just as important to mind your sushi manners when you’ve finished the meal as when you’re eating it. After the last delights have been consumed, it’s considered rude to linger chatting with your group, especially at busier restaurants. As a general rule of proper sushi etiquette, you should stay no longer than one-and-a-half hours for a meal or up to two hours if you’re also having beer or sake. 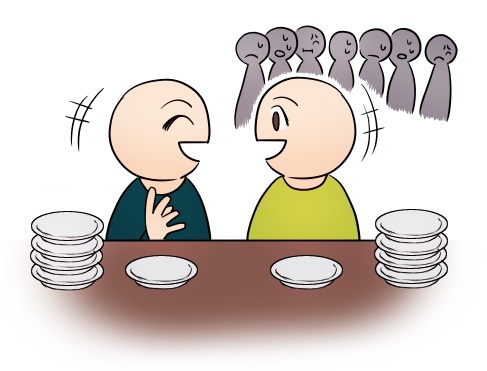 For omakase dining, it will usually be clear when the meal is over as you’ll be offered a slice of fruit or something similar, followed by the check. You shouldn’t be surprised if the restaurant doesn’t accept credit cards, even for a fairly expensive meal, as paying by card is less common at non-chain restaurants in Japan. That’s because the fish markets where restaurants purchase their ingredients typically deal in cash-based transactions. While paying in cash may indeed seem a tad inconvenient, there is a silver lining: In Japan there is no need to include gratuity! For the resident sushi chef, your enjoyment of the meal will have been enough reward. Now that you know all there is to know about true sushi etiquette, it’s time to step out and put your mouth where your mind is—but please just leave the cologne at home. 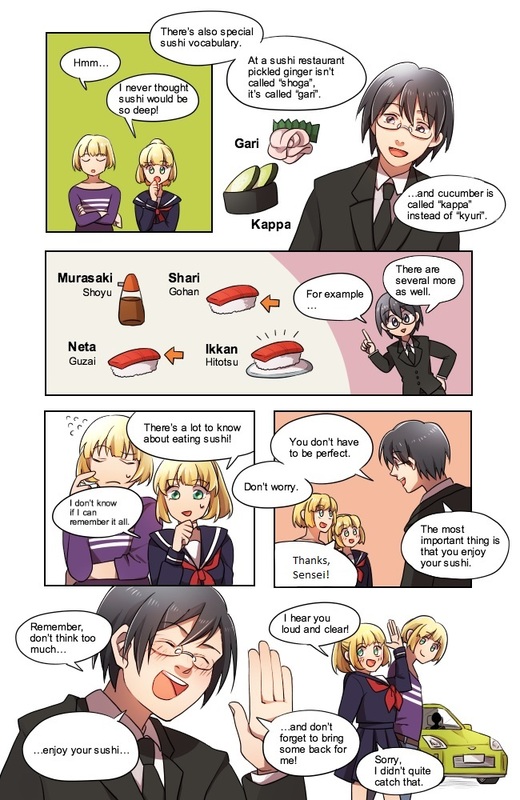 You can learn more about the art of eating in Japan with our manga 7 Essential Japanese Table Manners.